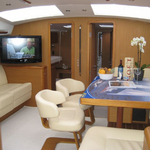 Boat Jeanneau 57 named Champagne was produced in 2010. We propose her from marina Sibenik in the surrounding area of Sibenik. Champagne is registered for 10 crew members. Layout of the boat is 10 (10+2). 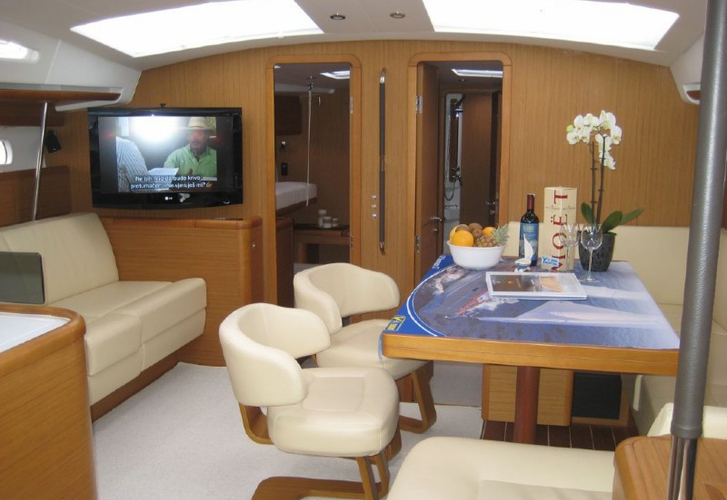 Jeanneau 57 Champagne is equipped with 5 bedrooms. For guests disposal there are 4 toilettes with showers. You can fill the diesel tank with 435.00 l liters and in water container it goes even 930.00 l liters. With engine 140 hp Champagne can navigate really fast. Champagne is 17.79 meters long and 5.00 meters wide. 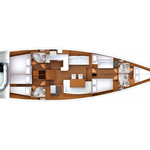 Depth is 2.50 m. You can see other yachts by opening this link: Yacht charter Sibenik. Yacht's equipment involves : Self-tacking jib , Gps, Gps plotter, Autopilot, Radar, Electric winches, Anchor electric windlass, Teak deck, Bimini top, Dinghy, Microwave, Wc pump electrical, Dvd, Radio cd mp3, TV, Air conditioning, Bed linen, Heating, Outboard engine, generator, Bow thruster. . Caution there is 4500.00 EUR. Choose our offer and spend great time on the deck of Champagne. This Jeanneau 57 from Sibenik from Croatia Use this site to find over here: Yacht charter Croatia.